He Remembers the Barren is a tender conversation with women in the church who wrestle with the issue of barrenness in marriage. Addressing questions frequently asked by those struggling with infertility, Schuermann examines the source of conception, control of our bodies, family planning, and adoption through the lens of the theology of the cross, always pointing the reader to her identity in Christ. This revised and expanded second edition boldly confesses the author’s growing understanding of barrenness and related life issues. With Psalm readings, beloved hymn texts, and prayers at the conclusion of each chapter, He Remembers the Barren resonates on a devotional level that offers comfort not only to those who ache under the cross of barrenness, but to anyone who knows the grief and shame of suffering. It is a valuable resource for family members, friends, pastors, and anyone seeking to better understand and empathize with the childless experience of a loved one. Schuermann gives voice to those who are barren but not broken, drawing the reader away from the temptation to despair and always bringing the focus back to the Gospel and the peace that only Christ can give. *Order 10+ copies, get a bulk discount. Contact us for details! *Purchase a giclee print of the cover art. 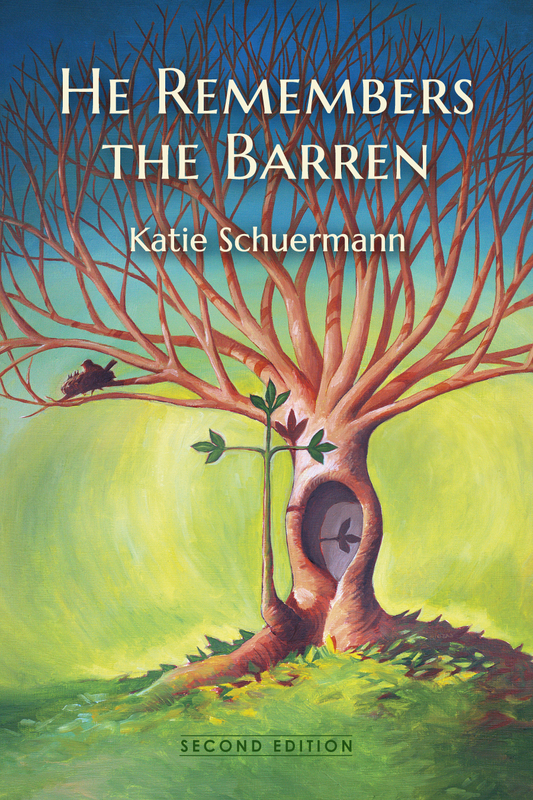 Author Katie Schuermann is a baptized child of God, pastor’s wife, godmother, aunt, daughter, sister, and friend. She and her husband, Michael, have not been blessed with the gift of children, but they still hope and pray for them, should it be according to God’s good and perfect will.